Penicuik Athletic Youth Football Club (PAYFC) have launched a petition calling on Midlothian Council to relay its astroturf pitch which hundreds of youngsters play on every week. The club has raised concerns over cost increases in using the pitch and the “poor” surface increasing the risk of injury to players. 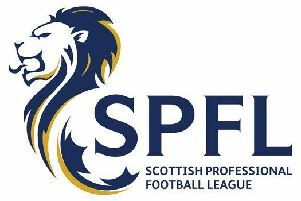 A recent ‘Site Inspection Report’ requested by PAYFC and the Scottish FA of the astro pitch found the surface condition recorded was “Poor – subject to long-term wear, having reached the end of its useful life”. The cost to bring it up to standard is estimated at around £300,000. Yet the club has said the council has increased the costs of hiring its facilities over the last six months. The Penicuik Astro Pitch is used by school pupils across Penicuik and Midlothian for inter-school football festivals and is hired every evening by both youth and adult local football teams. PAYFC alone has over 60 coaches and volunteers running 14 football teams for 350 youths, offering each player two to three hours of training during the week and a match at the weekend. Ms Grahame said: “The fact that Midlothian Council have increased the costs of hiring the astro-pitch despite its deteriorating condition beggars belief and puts the club’s good work at risk. Cllr Debbi McCall said: “I hope the petition launched will serve to show the strength of feeling about this locally and give the council pause for thought. Louise Shepherd, at PAYFC added: “We aim not just to make better football players, but to improve health and fitness and keep kids off the streets and out of trouble. A spokesperson for Midlothian Council said: “Midlothian Council’s charges for third generation (3G) pitch hire are amongst the lowest in Scotland. The average charge in Scotland for pitch hire is £60.49 per hour.